From my outdoor experience in the Nordic countries, I'm used to random backcountry camping. I've never seen a backcountry campground in my life, but I've recently moved to Canada and it seems that in Canadian parks, camping is not permitted anywhere else (short sample: Jasper, Algonquin, Alberta provincial parks, or even Yukon). Are there any national, provincial, or territorial parks in Canada where random backcountry camping is allowed anywhere at any time? Or must I simply avoid Canadian parks (and therefore the most scenic areas) if I wish to camp on my own? That's all. It's nothing like a campground. We had this whole beach to ourselves, there was no other site on it. 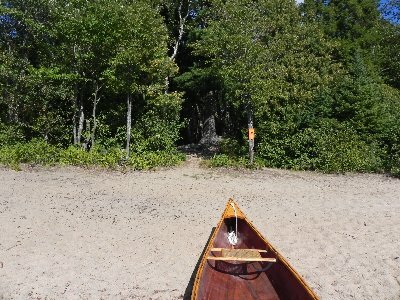 The path near the sign leads to a clearing with good tent spots and a fire ring. There were no other sites within sight of this one, either. 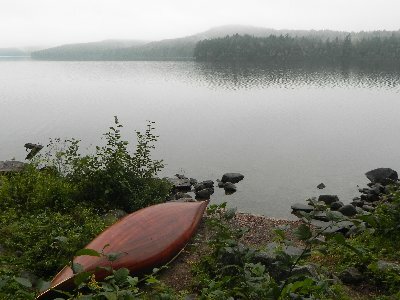 Not all Algonquin sites are this isolated, but you can see them all on the map and decide which one you want to head for. So while Algonquin doesn't permit random backcountry camping, you are not going to be in a campground full of other people, you'll be alone. That's what backcountry means. Killarney is the same, except that in winter you can camp anywhere you like other than a designated summer spot. I don't have a lot of experience in this field, but yes, Parks Canada has designated back country camping locations in most of its parks. 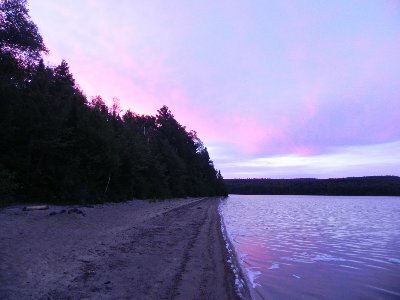 Crown land camping can be done in almost any province. Rules vary by province, here's Ontario for example. I know that in BC you can camp on most logging roads, sometimes for free, sometimes you pay at designated sites, but that it's managed by region so it's hard to get an all encompassing map in BC. Not the answer you're looking for? Browse other questions tagged backpacking canada or ask your own question.